Arizona Native Status: Introduced. This naturalized food plant is native to northern Africa, Europe, and central and western Asia. Habitat: Riparian. This aquatic or semi-aquatic plant grows in water or wet ground in streams and springs from the deserts to the mountains. These plants were found growing in Cienega Creek in the Las Cienegas National Conservation Area. 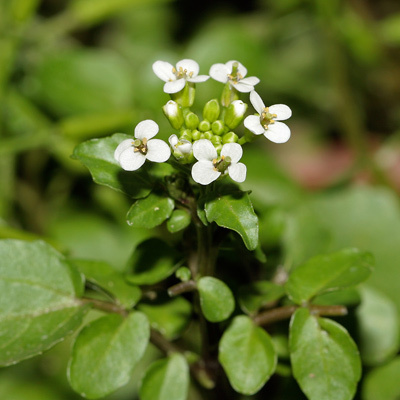 Description: The tiny flowers are in rounded, elongating, Sweet Alyssum-like, terminal racemes. The individual flowers have 4 small, rounded petals. The flowers are followed by erect, elongated, upcurved, shiny green seed pods (siliques). 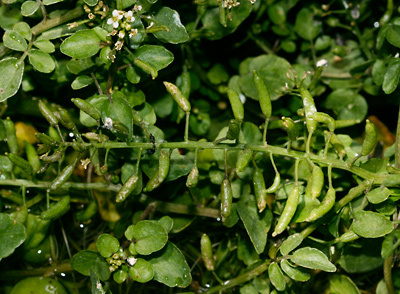 The leaves are green, fleshy, alternate, and mostly pinnately compound with an odd number of rounded, oblong, egg-shaped, or lance-shaped leaflets with wavy margins. The terminal leaflet is the largest. The stems root at the nodes and are erect to decumbent, branched, and green to reddish or brownish in color. 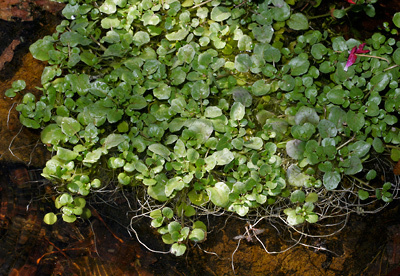 Edible – If grown in a clean water source, the leaves are edible and have a peppery flavor. 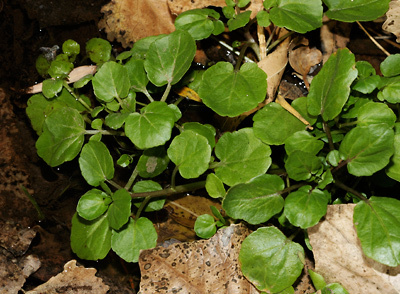 This plant is widely cultivated for its edible, highly nutritious greens. The ground seed is also edible and has a mustard-like flavor.